Just like with our campers… all we ask is that they tried. However, it may have only been Sam Sosnowski – filmer & editor of this sick snowboard movie – who knew that a little bit of effort could produce such incredible results. I guess it isn’t much of a surprise that this turned out so radical, when you’ve got this all-star line up of snowboarders: Craig McMorris, Judd Henkes, Mark McMorris, Sebbe De Buck, Anto Chamberlain, Mark Sollors, Mikey Renzc, Rusty Ockenden, Jody Wachniak, Chris Rasman, Matt Belzile, and Jordan Morse. This movie is a tasty combination of British Columbia backcountry and gnarly street clips, and it proves that these homies can stomp huge moves anywhere. Enjoy! If you’re a young snowboarder that wants to be able to do what you are seeing in this movie one day… then there is no better place to start then Evolve Freestyle Snow Camps. 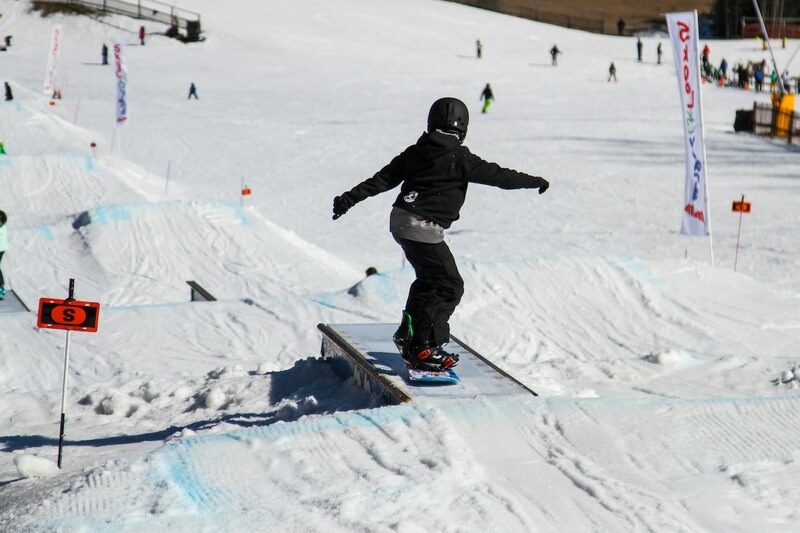 We teach you all of the important fundamentals for tricks of any kind, and MSLM’s world-class terrain parks are the perfect place to learn! 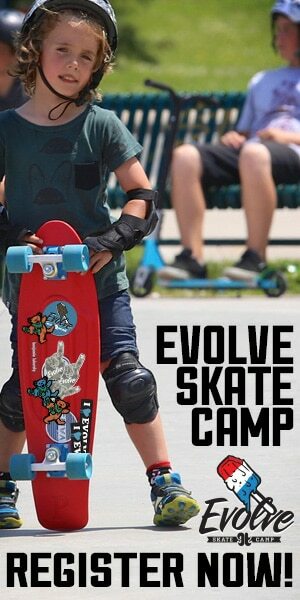 Click here for more information about Evolve Freestyle Snowboard Camps. Mount St. Louis-Moonstone opens this Friday November 23!!! Looks like Christmas came early this year for all you gnarly shred-heads! The snowmaking team at Mount St. Louis-Moonstone has been making great use of the $1.5 Million of new equipment that they purchased this off-season. They have been running the machines for over 48 hours straight, and they were gifted with some bonus snow squalls too that helped out big time. The grooming team has been right on their heels making sure that any snow on the hill is in great condition for you to ride as of this weekend. The snow conditions this weekend are sure to be incredible – with a staggering 30-50cm base on all runs to kick off the 2018/19 season. With lift tickets that are only $40 for anyone ages 6+, what else would you rather be doing this weekend?! Earlier this week was the official world premiere for “Listen to the Eyes” – the first women’s snowboarding movie released by Vans. They enlisted the help of legendary snowboard filmmaker Jake Price for this project that took place in the backcountry of the Pacific Northwest and British Columbia. The movie features riders from Vans global and Canadian snow teams Hana Beaman, Mary Rand, and Leanne Pelosi. Director Jake Price was actively searching to showcase the essence of the Vans women’s snow team and he wanted to illustrate their creative expression both on and off the snow. The entire movie was shot on Kodak 16mm film, and the original soundtrack was scored by Vans Europe surf team rider Lee Ann Curren – two elements that were key in achieving their stylistic goals for the film. This movie does a wonderful job of showcasing Hana, Mary, and Leanne’s backcountry prowess in a uniquely artistic manner. 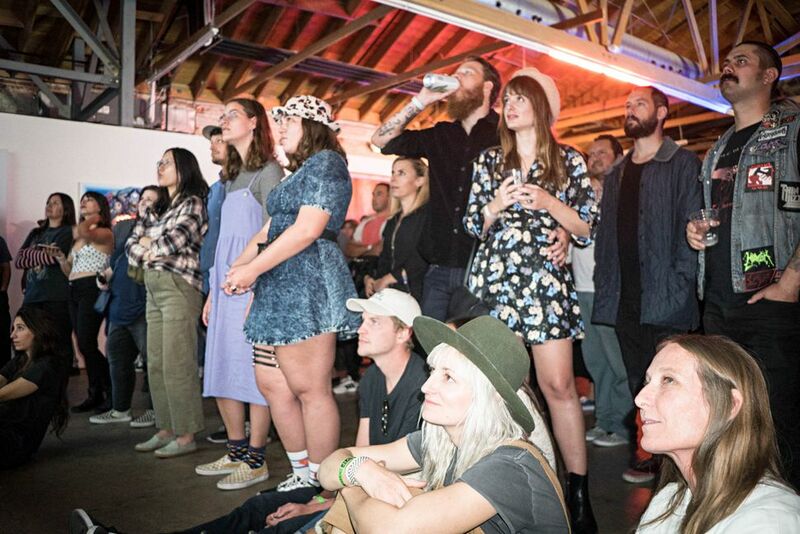 Vans hosted the world premiere for the movie at the House of Machines in Downtown L.A. Along with the screening, there was an art installation from legendary snowboard artist, Schoph, a Dillon Ojo tribute photography show, and performances by Lee Ann Curren and LA Witch. Although those in attendance got the pleasure of viewing the entire film, the rest of us are limited a fantastic 15-minute trailer. We will certainly be keeping our eyes peeled for the release of the full length movie so that we can let you know when it has arrived. Mount St. Louis-Moonstone is the best hill in Ontario! 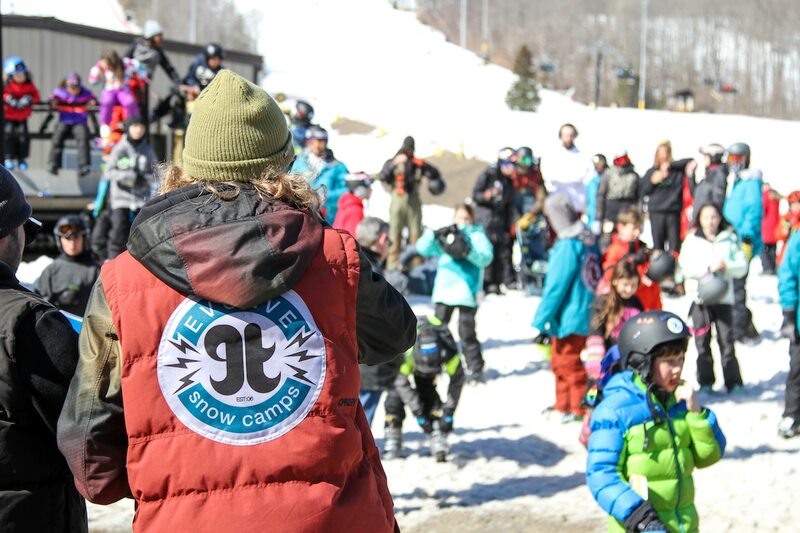 We are stoked to have been at Mount St. Louis-Moonstone for the past 10 years, and we are so excited for another amazing season of Evolve Snow Camps that is right around the corner! After 10 seasons of skiing and snowboarding, we can confidently say that there is no place that we would rather be running our programs than Mount St. Louis-Moonstone, and unless you’ve been there yourself, you might not understand what makes it so great. In order to fill you in a little, we put together some lists of reasons why MSLM is better than any of the other hills in Ontario. With another $1.5 Million re-invested towards improvements & upgrades, Mount St. Louis Moonstone continues to focus on terrain and building mountains! This summer, work crews moved 170,000 cubic metres of earth in just 60 days, removed the Venture Quad chairlift, and raised Venture slope a total of 50 vertical feet. MSLM also dropped another $800,000 to improve their unique and powerful snowmaking system. With 3,000 feet of new ductile snowmaking pipe on Venture, Easy Street and Crescent Slopes, as well as 40 various new TechnoAlpin automated snow guns, they will be able to cover 2 slopes with snow in less than 36 hours! The resort also purchased some new Ski Doo Skandic machines for the snowmakers to be able to get around. Not only should there be more snow than ever at MSLM, but they now have 6 of their 7 PistenBully 600 snow groomers operating the top-notch SNOWsat system which provides exact calculations of snow depth and density. In terms of getting you to the top of the hill, they have also invested $60,000 on a new haul rope for the Summit 6 Express, $10,000 on a new gear box for Sundance Quad loading conveyor and $20,000 on a new belt for Magic Carpet. Finally, they spent more than $200,000 on a new 8320 high voltage gear switch and improvements to the Moonstone electrical station to enhance reliability and safety. 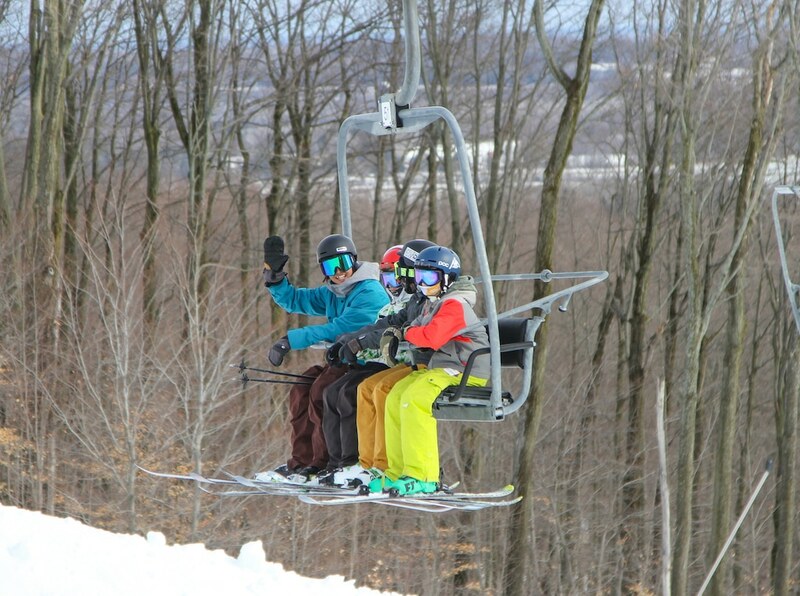 Mount St. Louis-Moonstone is considered by many – us including – to be the “best resort East of the Rockies”! It is often compared to Blue Mountain, Horseshoe Valley & Snow Valley as they are each some of the bigger facilities that Ontario has to offer. That being said, there are many reasons why we choose MSLM over the others. First of all, Mount St. Louis-Moonstone is the closest and easiest to get to from Toronto for us and our campers. 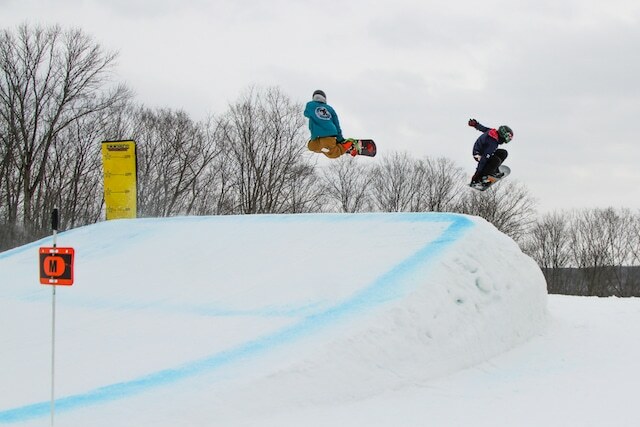 Another massive reason why we love MSLM is because of the incredible terrain parks that they have (click here to read our last blog post about the MSLM terrain parks). 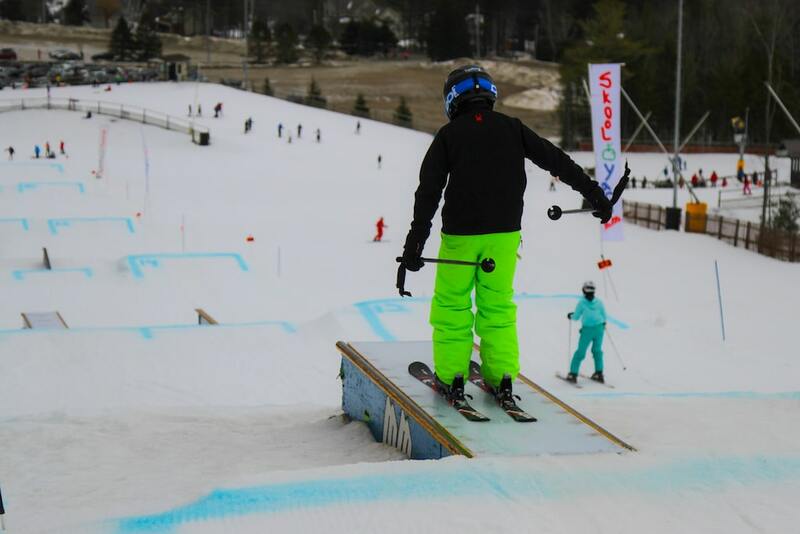 These terrain parks are great for our Freestyle programs, but MSLM is also the perfect location for our downhill lessons because there are shorter lift lines allowing for more runs for each camper. Mount St. Louis-Moonstone is also among the biggest of the resorts previously mentioned; boasting 15 more runs than both Horseshoe Valley and Snow Valley respectively. They are much better at getting you up the mountain than any of the other resorts as they re-invest more money than the others on improving their comfortable, high speed chairlifts. Finally, one of the best things about MSLM is that it is located in the Snow Belt, which increases our odds of having good natural powder. They also don’t make snow for any of the open runs which means that the snow quality is never compromised. We would love to have any camper aged 6 to 15 to come and join us this winter for Evolve Snow Camps so that they can experience first-hand the awesomeness that is Mount St. Louis-Moonstone!!! 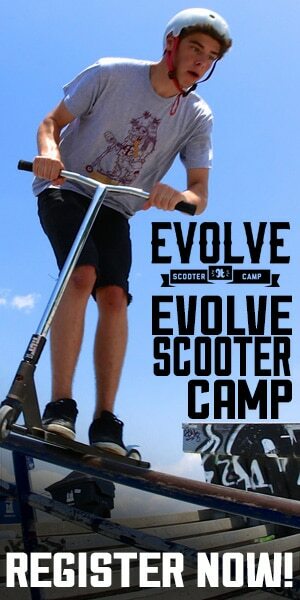 For more information about Evolve Snow Camps, click here. 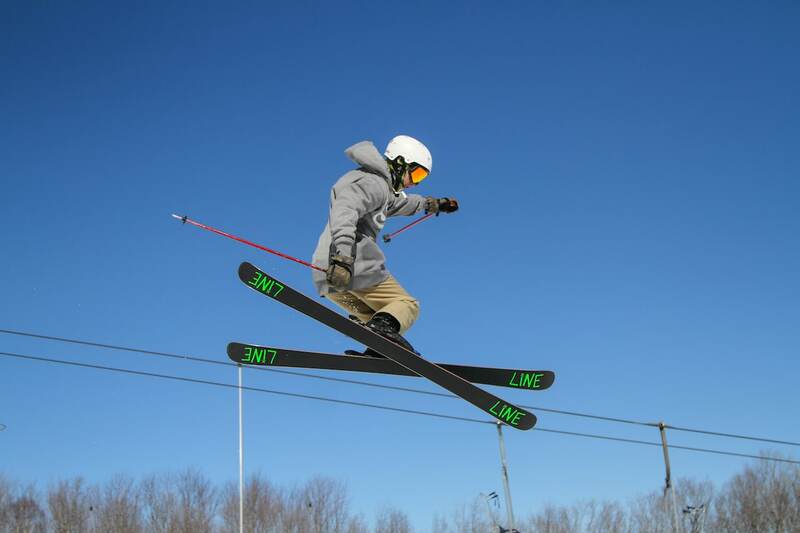 Mount St. Louis-Moonstone has the BEST terrain parks!!! We love the terrain parks at Mount St. Louis-Moonstone!!! 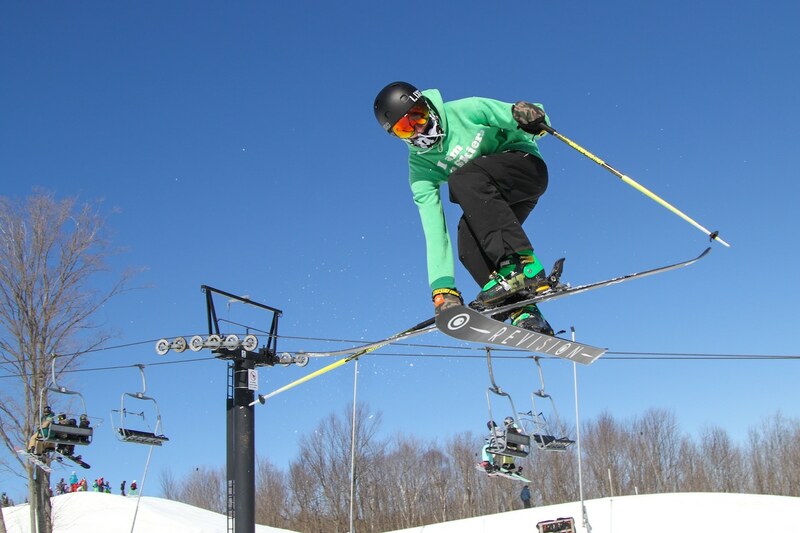 Renowned for having the best terrain parks east of the Rocky Mountains, it is no secret as to why our campers and coaches love Mount St. Louis-Moonstone so much! We feel we are truly blessed to be able to host our awesome freestyle ski and snowboard camps at Mount St. Louis-Moonstone year-after-year. 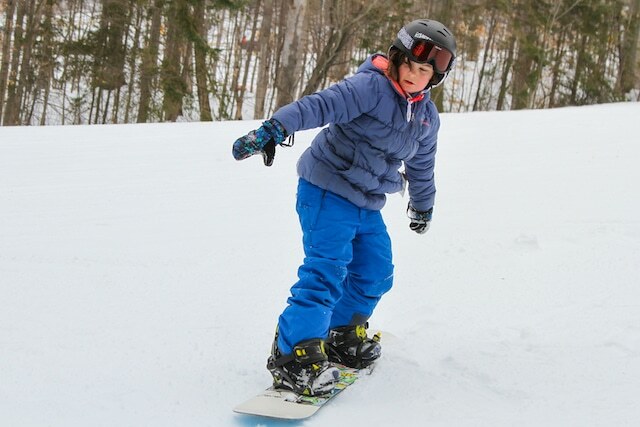 Not only are the terrain parks super fun to spend the day shredding but the varying size/difficulty of the parks at MSLM allow for the perfect learning environment for our campers. Here is a little bit more information about each of their terrain parks – you should see pretty easily why we love them so much! The Skool YaRd is Mount St Louis Moonstone’s “freestyle classroom” – teaching even the newest freestyle skiers and riders how to nail the basic skills. This park is designed for skiers and riders to start acquiring an understanding of terrain park etiquette. They can also to learn how to adjust to a variety of features that are small and low to the ground to minimize the risk of serious injury. The Skool YaRd also boasts thicker rails, fat boxes, rollers, mini bumps and a teensy lil’ ¼ pipe – more than enough to ensure that even the most advanced can have fun in this park! The Junkyard is the original terrain park at MSLM & they guarantee that it is always the first terrain park in Ontario to open each year. The Junkyard has seen it all in terms of riders and setups and just comes back strong every single season. The Junkyard is home to some super smooth rails, buttery press boxes, and zero gravity kickers. Along with those great features, the Junkyard has a 12′ “Progression Pipe”, which is a perfect stepping stone for those looking to work their way up to a full-sized halfpipe. The team at MSLM make sure that there are new features every season and they work hard to keep it in top shape for the many competitions that are hosted in the Junkyard each year by organizations like Vans & Freestyle Ontario. The Outback Super Park is an award winner year-after-year; with countless accolades from the likes of Snowboard Canada Magazine, Transworld Snowboarding, Newschoolers, and others. Although not massive vertically, the Outback is mighty and can only be attempted by our advanced ski & snowboard campers, and it is serviced by a Quad chair to ensure that there is never too little ‘steeze’ flowing through the park. The Outback has a Slopestyle course with 2 jump lines featuring 55′-65′ booters, and 60 other awesome features in the rest of the park including the longest rail in North America at 140’, a 3 rail staircase, and a wicked range of cannons, goal post and shot gun rails. Finally, the Outback Super Pipe is sleek and fast with expertly groomed 18’ walls to ride and throw down the gnarliest tricks. Evolve all under 1 umbrella!